Dates: March 12-13, 2016. Class will be from 9:00am to 5:00pm each day. We want to ensure a personal experience for all participants. Do you want an aquaponic system, but don’t know where to start? 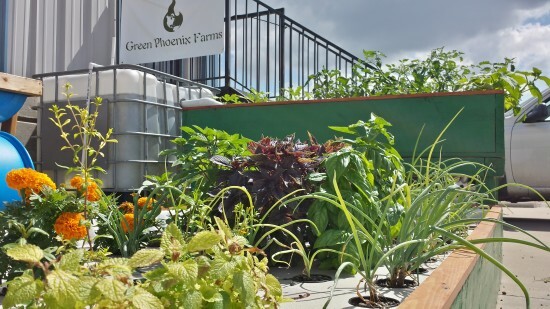 This two-day workshop is perfect for any person who would like to understand what the key principles of aquaponics are, and also learn about the specific components needed to grow fish and plants together in a recirculating soil-less system. We have designed this course to be as useful to individuals who have never seen an Aquaponic system before to those who want to expand their knowledge of this farming method.We have planned a diverse mix of both practical classroom style lectures (more fun though!) and hands-on activities that involved the construction and start-up of a “backyard” scale home Aquaponic system. Each participant will receive complete parts lists and construction guide for the system built in this class. Additionally, participants will receive access to a library of Aquaponic resources. Aquaponics 101: This is the basic introduction or primer to Aquaponic systems. Presented in this sessions is a clear and concise description of exactly how Aquaponics works, the specific components used in systems and the pros and cons of different system designs. Additionally, we will cover basic biology, water chemistry and planting densities. Building a small-scale Aquaponic System (IBC System): For this session, participants will move out of the classroom and into the “workshop”. Meaning, this is a hands-on build of a simple Aquaponic system. For this system construction each participant will get to see the system take shape from start to finish, and everyone will have the opportunity to “get their hands dirty” and jump right into the project. Animals in Aquaponics: This session explains in great detail several species of fish and invertebrates that can be raised successfully in Aquaponics. For a few species, we will also cover elementary breeding techniques and fry rearing. A short tutorial will be provided to help in the construction of a fry rearing structures and egg hatching equipment. Plants in Aquaponics: This session focuses on the plants that can be grown in your Aquaponic system. We will explain in detail some of the varieties of plants that can be grown in Aquaponics, and will also cover tips and tricks that can be used to make your plants are as productive possible and that your space is utilized efficiently. We will also cover the basics of identifying nutrient deficiencies and the basics of pest management. Additional topics covered will be where to buy heirloom seeds, common methods for sprouting seeds, propagation through cuttings and cloning. System Start-up and Daily Maintenance: In this session, participants will learn how to manage and operate their Aquaponic system. From day one when filling it up with water to managing successive harvests – all the details will be presented to make you confident in your ability to keep your own system. Specific hands-on activities include testing Water Quality, identifying nutrient deficiencies, and troubleshooting plumbing. “Where Can I Go From Here?” – Advanced Aquaponics: This session is to provide participants with and idea of what awaits them with their system. We will discuss methods for expanding growing space through the use of vertical towers and wicking beds or by simply adding on more grow-beds or raft troughs. The potential for expansion into a commercial market will also be discussed with a number of important tips and considerations that need to be addressed. When will be the next class?